Kids are active and love to have fun, but may have accidents that may result in a dental emergency. 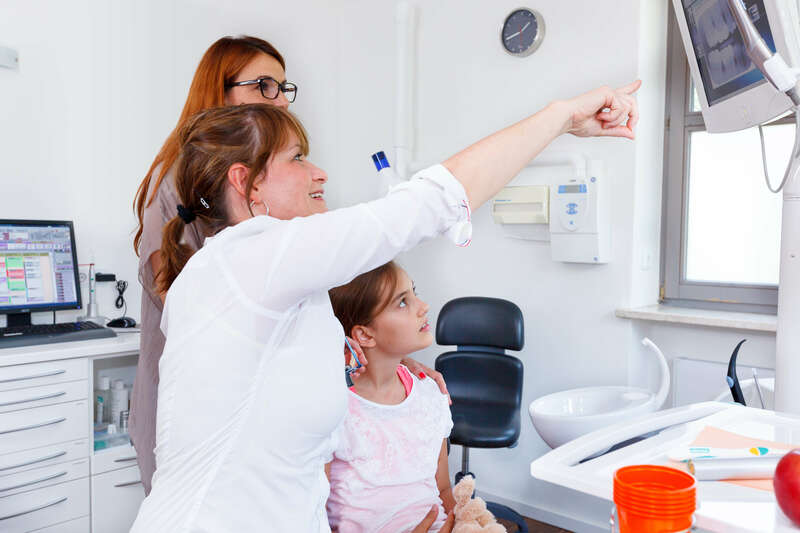 At Children’s Dentistry of Redlands, emergency dentistry is taken seriously, and if you are experiencing one, contact our Redlands, Riverside dental practice today. We are available on call during the weekends. If your child has a completely knocked out permanent tooth, it’s important to contact our Redland’s pediatric dental practice immediately in order to save and implant the tooth as quickly as possible. If done within an hour of the avulsion, the placement of the knocked tooth is more successful. However, this is what you can do if you can’t see the dentist right away. 1. Recover the tooth, don’t touch the root. Clean if dirty, and keep moist with water or milk. 2. For older children, attempt to insert the tooth into its original socket and apply a gauze on top and have your child gently bite down to hold it in place. A toothache can be due to a number of reasons, such as a cavity or an infection, but to be safe it’s always important to visit the pediatric dentist to evaluate their smile. Have your child rinse their mouth with warm salt water. If you there is swelling, apply a cold compress, and if they are in pain, ibuprofen or acetaminophen. If your child is experiencing a dental emergency, contact our Redland’s pediatric dentist immediately. We are available on call on the weekends, and we do our best to see you as soon as possible. Dental emergencies can occur unexpectedly but know that at our Redland’s dental practice, we treat you with compassionate care and a focus on your child’s oral health.